"Mind if my friend sits this one out? She's just dead!" -- James Bond (Sir Sean Connery), disposing of villainess Fiona Volpe (Luciana Paluzzi) in "Thunderball" (1965). 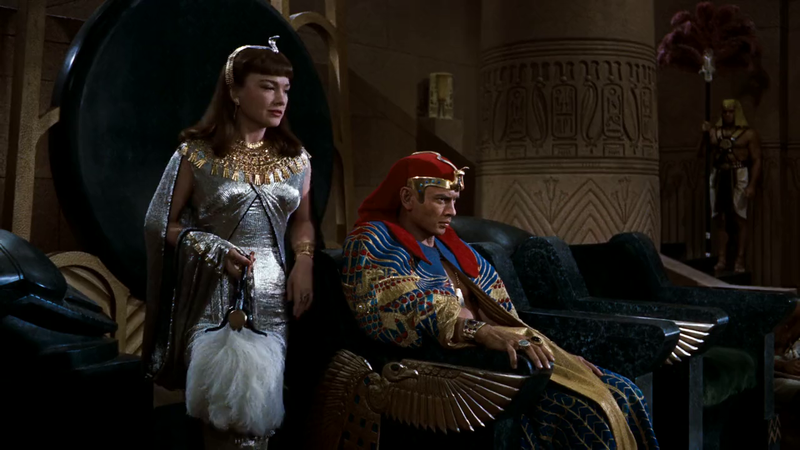 -- Rameses II (Yul Brynner) to Nefretiri (Anne Baxter) in "The Ten Commandments" (1956). "I was just inches from a clean getaway." -- Astronaut Garrett Breedlove (Jack Nicholson) in "Terms of Endearment" (1983), after Aurora Greenway (Shirley MacLaine) wants a reaction to her declaration of love. "Nobody's ever gone the distance with Creed, and if I can go that distance, you see, and that bell rings and I'm still standin', I'm gonna know for the first time in my life, see, that I weren't just another bum from the neighborhood." -- Rocky Balboa (Sylvester Stallone) to Adrian Pennino (Talia Shire) in "Rocky" (1976). Your garbage cans are empty and your dogs pregnant. Now speaks the rat that would be my ears. "By the way, there's a name for you ladies, but it isn't used in high society -- outside of a kennel." 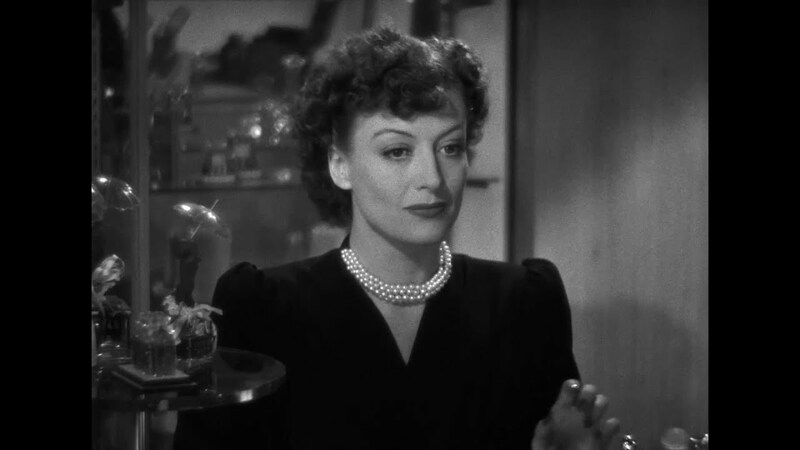 -- Crystal Allen (Joan Crawford) in "The Women" (1939). "If my calculations are correct, when this baby hits 88 miles per hour... you're gonna see some serious stuff." -- Dr. Emmett Brown (Christopher Lloyd) in "Back to the Future." The film opened 30 years ago, on July 3, 1985. NOTE: This is what he said in the version that aired on network television! "That Texican ... saved my neck twice -- once after he was dead." -- U.S. Marshal Rooster Cogburn (John Wayne), referring to the heroic Texas Ranger LaBoeuf (Glen Campbell) in "True Grit" (1969). "I left it loud to scare off any pain in the a s s bystanders." "We'll make it past the cops -- I just hope we don't see no Muslims." -- Grover Muldoon (Richard Pryor) to George Caldwell (Gene Wilder), who is disguised in blackface in "Silver Streak" (1976). "McLintock! (1963) One of John Wayne's best. G.W. McLintock....Somebody ought to belt you in the mouth. I won't..I won't...Like hell I will. Rufus T. Firefly: [into radio] This is Rufus T. Firefly coming to you through the courtesy of the enemy. We're in a mess folks, we're in a mess. Rush to Freedonia! Three men and one woman are trapped in a building! Send help at once! If you can't send help, send two more women! -- Dr. Agon (John McLiam) in Woody Allen's futuristic comedy "Sleeper" (1973), explaining to 20th-century transplant Miles Monroe (Allen) how the old world order was destroyed. NOTE: When "Sleeper" was released, Shanker (1928-1997) was the combative head of the United Federation of Teachers (UFT) -- the labor union that represented most teachers in New York City public schools. Dargo, That's the longest one liner I ever heard/read. For that you should get twelve years in elevenworth, or is that 5 to 10 in Woolworth? -- Dorothy Gale (Judy Garland) in "The Wizard of Oz" (1939). -- U.S. Army Rangers Captain John H. Miller (Tom Hanks) to PFC James Francis Ryan (Matt Damon) in "Saving Private Ryan" (1998). Okay, BUT before they take me away, could I have a nice cold glass of eliminate? "Remember, you're fighting for this woman's honor, which is probably more than she ever did." -- Rufus T. Firefly (Groucho Marx) in "Duck Soup" (1933).